Coquitlam Centre and Big Brothers Big sisters Canada celebrated the uniqueness of every girl across Canada with free, interactive events on Saturdays this past September. The activities all aimed at empowering young women who are coming of age to help them increase their self-esteem, and overall confidence. On October 1st, I had the pleasure of attending the private #BeYou girl Celebration from 7-10 pm. The event was hosted by #BeYou Girls official National spokesperson and ambassador, Erin Cebula. Cebula kicked off the #BeYou celebration introducing herself and sharing authentically with 100 girls between the ages of 9-16 in attendance, how she felt at their age. In Cebula’s words, When I was your age, I used to get really embarrassed, so embarrassed at times my face would get very red and I would constantly blush. It was very honest of Cebula to share this with the girls, especially because today Cebula is a public figure who hosts ET Canada and has accomplished so much more. This is a reminder to young girls that you can overcome awkwardness and insecurities with positive self-confidence! After Cebula engaged with the girls, the girls woke up their muscles with some fun exercise activities hosted by a local fitness instructor. Encouraging physical activity is a sure-fire way to help girls boost their body confidence. This activity energized the girls and kicked off the private event with lively energy! Once the girls finished their energy boosting #Befit movement activity they had the pleasure of visiting each #Beyou station for an allotted time. The stations included #BEnourished, #BEpostive, #BEready, #BEaware, and #BeCalm. Each interactive station designed to bring awareness, discussion, and teach the girls how to stay mentally and physically confident, self-aware and positive in this technology driven time. At the #Benourished hands-on station, the girls were taught how to make healthy wraps, encouraging healthy choices. In addition, the mentors talked about healthy ingredient choices, and the benefits of eating whole, nutritious food. At the #Beaware station, the girls were each given a journal courtesy of paper blanks. The girls discussed one thing they would like to create, wrote them down in their journals and added these ideas to post it notes. This station was designed to encourage girls to write down their feelings and ideas. Writing is a very therapeutic tool and it can be overwhelming to bottle up emotions. Some of the things the girls wanted to create were beyond their years. One girl wrote on her post it note: I want to cure cancer <3. At the #BeReady station, the girls were shown self-care tutorials and discussed ways they can take care of themselves. The girls were told, not to take beauty to seriously by one of the reps from The Body Shop. In addition, some of the conversation revolved around people they admire. The girls were each given a special #BeYou booklet from The Body Shop. I thought this was a great way for the girls to learn ways to have fun with self-care. It can be a confusing time, but with the help of the mentors at this station, the girls left feeling more comfortable and confident with a self-care routine. The #Bepostive station was designed to bring awareness and discussion around using social media positively. The mentors at this station discussed with the girls who they liked to follow online and encouraged following authentic, healthy role models. Interestingly, the girls followed more Vloggers, than bloggers, and watched Youtube more than they used the Instagram app. The #Bepositive station was an excellent way to discuss the negative effects social media can have on mental health. It’s important for girls at this age to follow role models online that are positive, making a difference and authentic. When they follow positive role models online they are less likely to be affected with negative comparisons and instead are left feeling inspired. At the end of the evening, the girls gathered at center stage for the #BEcalm activity. A yoga facilitator led the girls through some yoga poses and calming meditation. What an important topic to uncover with the girls. Taking time out of our fast-paced, digital society and relaxing/breathing is an imperative way to stay in tune with ourselves, and it is extremely beneficial for mental health. In fact, in a recent article, I saw circulating online, some classrooms are now replacing detention, with mindful meditation. How amazing is that?!! Meditation and yoga are significant ways we can teach young girls to drown out the noise, and listen to their bodies. In the end, the girls left with some pretty awesome #BeYou swag and an experience they will hopefully never forget. How cool would it have been to have something like this when we were this age? A private event in the mall, with fun interactive activities that foster and nurture positive self-esteem, and overall confidence. In addition, generous mentors who donate their time to make it all possible! Thank you, Coquitlam Centre for being part of the #Beyou initiative. I feel so blessed I had the opportunity to take part in these activities. It was very inspiring and something we definitely need more of in today’s society. BeYou will be celebrated in 21 enclosed shopping centres across Canada with over 12,300,000 total retail square footage and a 1.8 million+ reach on social media. Visit www.beyougirl.ca for more information on other participating Morguard properties and Big Sisters of Canada chapters. 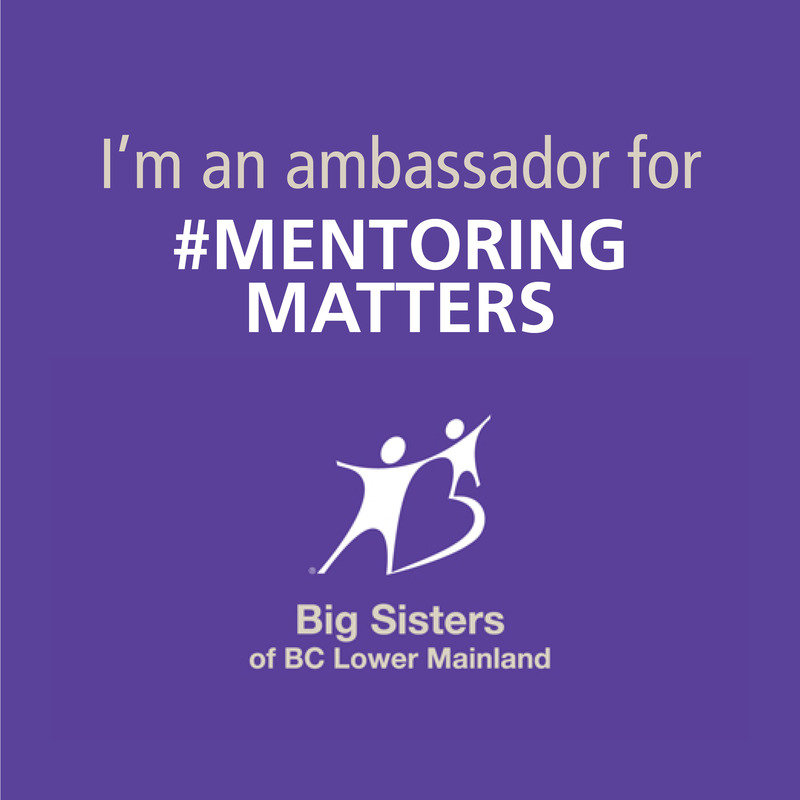 Big Sisters of Canada facilitates life-changing relationships that inspire and empower children and youth to reach their potential, both as individuals and citizens. Big Sisters run an ongoing group mentoring program in almost all of Morguard’s markets across the country. Go Girls!, for girls aged 12-14, focuses on physical activity, balanced eating and self-esteem. According to Big Sisters of Canada, there are thousands of Little Sisters on wait lists for a Big Sister. This means that young Canadian females need, and want, a mentor. Morguard operates optimally located properties in communities across Canada that serve as a principle meeting place for young Canadian females. Their focus on females is inspired by the “ripple effect”: research shows when women’s equality is improved, economic and social conditions are improved for everyone. Since women account for slightly more than half of Canada’s population, empowering women means making the most of their talent by giving girls the support they need. BeYou is an intelligent investment for Canada’s future. Morguard Investments Limited, a wholly-owned subsidiary of Morguard Corporation (TSX: MRC), provides real estate advisory services and property management to institutional investors. Morguard Corporation is a major North American real estate company. It has extensive retail, office, industrial, multi–suite residential, and hotel holdings owned directly, or through its investment in Morguard REIT (TSX: MRT.UN) and Morguard North American Residential REIT (TSX: MRG.UN). Morguard’s combined real estate portfolio is valued at $16.0 billion. For more information, please visit www.morguard.com. Disclaimer: This is a sponsored post. I received compensation for writing a recap of this inspiring event. I would never share sponsored content that does not fit with styling the inside of your life!